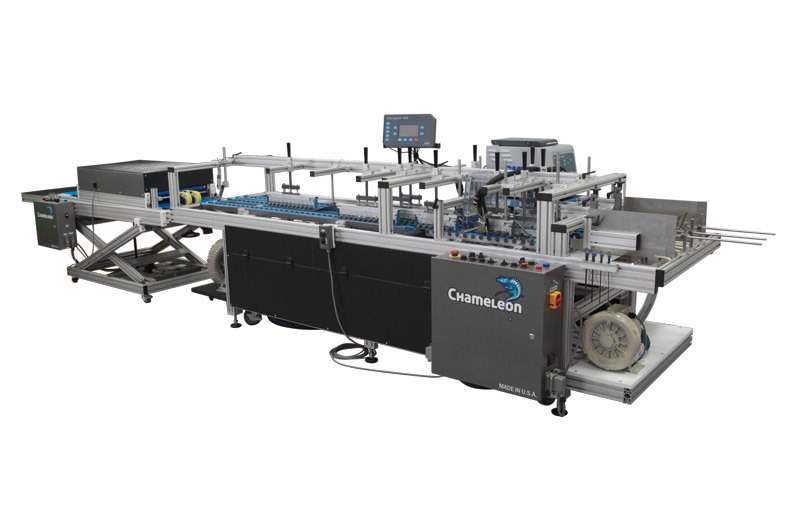 Available in 3 working widths – 650mm, 800mm, and 920mm – Chameleon finishing systems are made up of a series of modules followed by a delivery, allowing for maximum flexibility and a wide variety of output possibilities. From a simple single module system paired with our economy delivery to a complex 8+ meter long combination of our M and S series modules with a convertible compression delivery, full systems can come equipped with a full compliment of top mounted manipulation accessories as well as our quick-release upper belted transports and plow and cross-fold accessory packages. 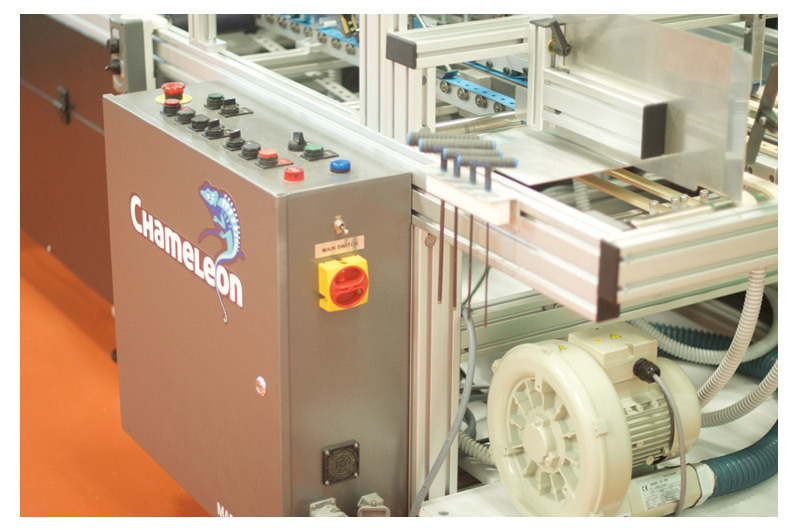 Chameleon Finishing Systems center around our “Combination” flat belted transport system, where each belt can be either a vacuum belt or can be supported by a “Frictionless” bearing transport cassette. Readily positionable, belts can be arranged by the operator to be in the optimal position for job processing, while at the same time allowing for a choice between a vacuum cassette or a bearing bed cassette under each transport belt. 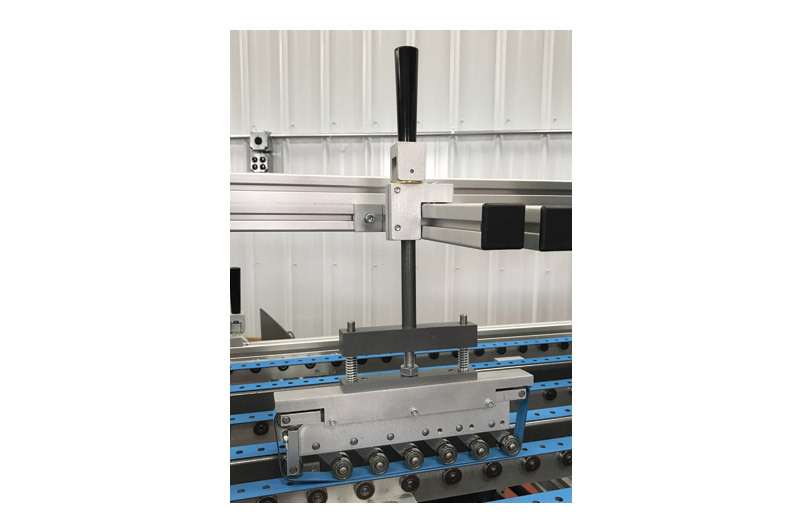 Additionally - when used in conjunction with the versatile upper bridge and beam assembly standard on all Chameleon Finishing Systems - our upper drive controlling and manipulation accessories are designed with the operator’s needs in mind. Quick release, pressure adjustable, and automatic thickness compensating, our top drives and related accessories are built to be straight-forward, effective, and as simple as we can design and construct them. 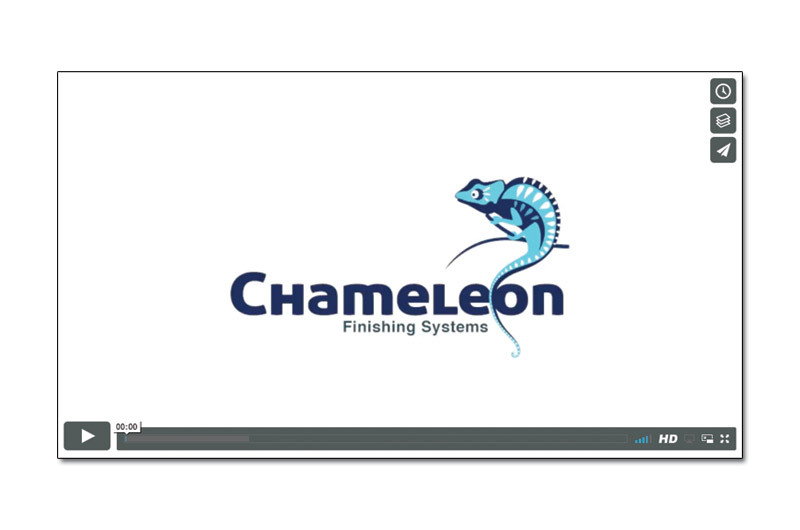 Chameleon Finishing Systems also provide the ability to add demand style affixing feeders literally anywhere within the system length. 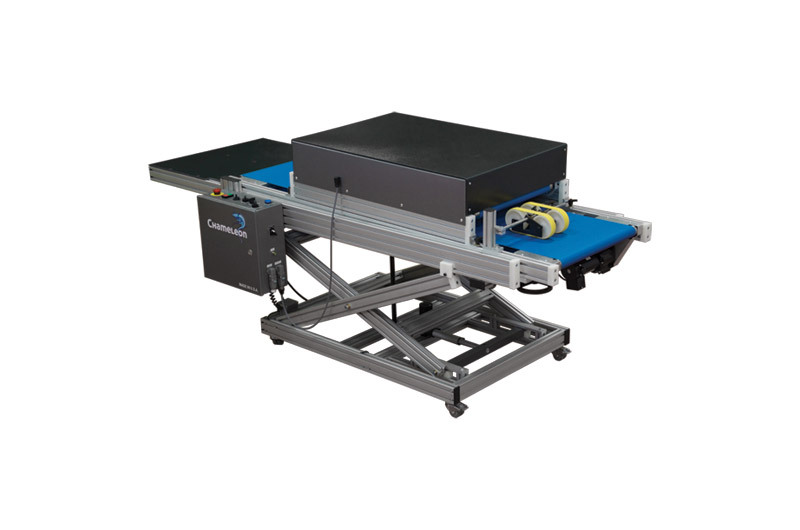 This unique feature allows for the widest range of options available when laying out a product or promotional piece, including ink jetting for variable data projects or camera mounting for data tracking - from either above or below the work piece - at full running speeds. By combining this transport versatility, upper bridge and beam assembly, operator friendly manipulation accessories, and the open architecture design of a Chameleon Finishing System, operators have an unsurpassed ability to manipulate product with very few fixed position setup points to work within. The Chameleon Finishing Systems framing structure utilizes an engineered structural extruded aluminum material that is designed and assembled as if it were a series of “bridge trusses”. Every joint or any joining of two pieces of the frame is made with a special fastener that is tightened / torqued to a minimum of 150 lbs. All fasteners used are a combination of either zinc plated or stainless steel bolts and solid steel tee nuts (Steel into Steel) with the aluminum framing material or machined aluminum mounting blocks sandwiched between. 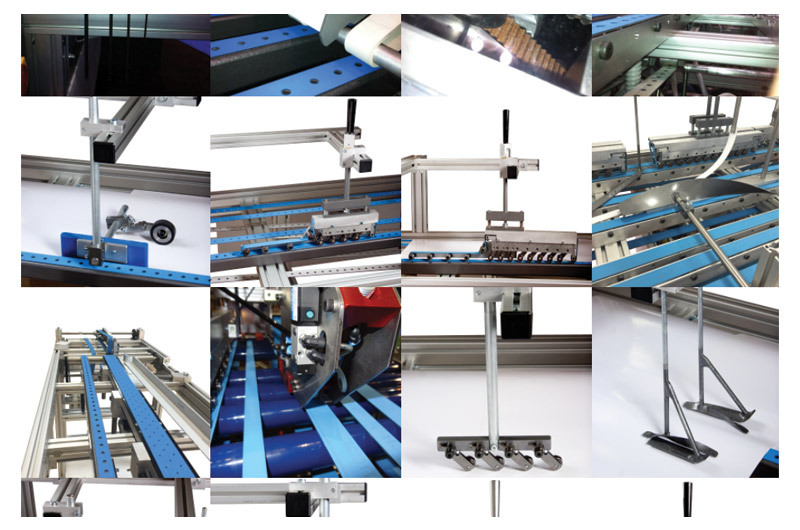 When coupled with the structural locking shape of the extruded framing material - where there is an actual 2 degree pressure angle that is tightened out of the material during fastening - we are able to achieve the unique balance of an extremely strong and yet still “re-configurable” frame for all Chameleon Finishing Systems equipment. Chameleon Finishing Systems - utilizing our structural aluminum framing and support system - offer more versatility and more converting capability, in a smaller footprint, than any other multifunction folding-gluing system available today.